There is a Blue Bell recall for two flavors of its ice cream citing possible listeria contamination. A statement released by the company indicates the recall covers pint and half gallons of the Cookie Two Step and the Chocolate Chip Cookie Dough flavors. According to the Texas-based company, the dough ingredient contamination could have been from a third party distributor. 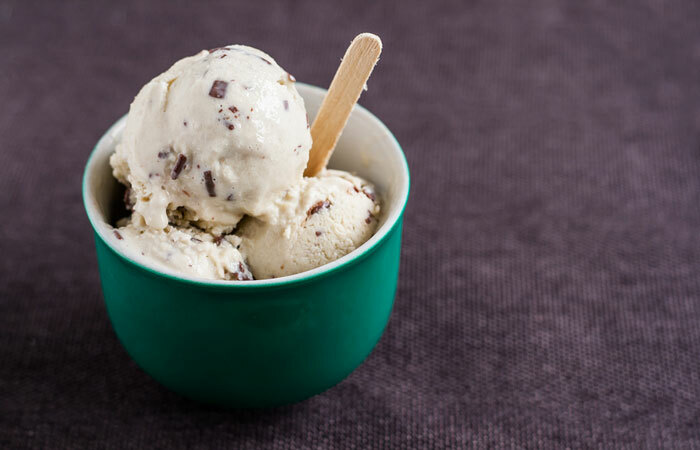 The ice cream was dispatched to 10 states in the South; Georgia, Tennessee, South Carolina, North Carolina, Alabama, Kentucky, Virginia, and Louisiana. The recalled ice cream was produced at the company’s Sylacauga, Alabama plant and supplied by the Aspen Hills, Inc, states the creamery’s website. Blue Bell’s products have passed the test and holds programs, which demands that finished product samples test negative for listeria, the company said on its Twitter account that it is voluntarily initiating the recall out of an abundance of caution. This is not the first time there has been a Blue Bell recall for contamination. Last year, it stopped selling and recalled all of its products due to bacterial contamination. The recall was linked to 10 listeria cases in four cases and caused four deaths, drawing sharp criticism from state and federal officials. The latest Blue Bell recall is being conducted in conjunction with the FDA. At the moment, no illnesses have been reported. However, listeria can cause serious complications, and if medical attention is not sought, it can cause death especially in children, the elderly or people with weakened immune systems. Individuals with stronger immune systems may experience severe headaches, nausea, fever, diarrhea and abdominal pain. A listeria infection can lead to stillbirths and miscarriages in women. If you are affected the Bell Blue recall, the law provides that you can seek compensation by filing a product liability lawsuit. The company owes consumers of its products duty of care are legally responsible if they neglect the obligation. If you’re affected by the recall or have any questions, you can reach Blue Bell through 979-836-7977. The line is open Monday through to Friday from 8 a.m. to 5 p.m. CST. You can also contact them through their website. There is no class action lawsuit for the Blue Bell recall at the moment. However, this may change as the scale of contamination becomes apparent. You can identify the product by the code located at the bottom of the carton. Blue Bell will fully refund the affected customers. If you have suffered any form of illness as a result of consuming the contaminated ice cream, you can sue Blue Bell for compensation. If you were to take the company to court, you would be seeking to recover damages such as lost income, pain, medical bills incurred, suffering, loss of companionship, loss of expected income and any other related losses. You will need, however, to get a product liability lawyer to represent you in court. Such cases are complicated, and an attorney will help you maneuver through the system. If you or any person you know has suffered any form of pain due to the Blue Bell recall, contact a product liability lawyer in your area to explore the legal options available including a possible lawsuit.